I don’t give my kids or myself the flu shot. Not just because I forget some years, but I choose not to every year. I refuse to give shots that could very well be ineffective. Something about giving my child a shot that probably won’t keep them from getting sick irritates me. Who’s gotten sick after getting the flu shot? 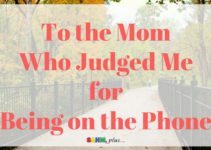 I’ve known way too many who have, and the one time my daughter was given one, she wound up sick. If the fact came out I hadn’t vaccinated against the flu, people gave me a guilt-trip. But can you imagine the natural guilt I felt the one time my daughter got sick after getting the flu shot? Guys, I can’t win. Parents can’t win! Facebook pages are abuzz with constant arguments about people’s personal decisions. The news and comments these days shows us how much our world is lacking in empathy and unity. We’re at odds with each other about everything, it seems. And, while some groups are yelling about their rights, they’re silencing others. Empathy is defined as the ability to understand and share the feelings of another individual. With empathy comes compassion and unity. And, we urgently need these traits today. Am I right? I mean, I don’t necessarily need you to agree with my choices, but I sure would appreciate accepting that my choices are those I make for the better of my family. My choices … my family. I do the same for you. I accept that whatever choices you make for yourself and your family are made out of necessity. Whatever helps you sleep at night. And I’m totally cool with it, even if I don’t agree with it, or see it as a viable option for my family. Although empathy may come more naturally to certain people, it’s something we should all work on. But how can we instill this important trait in our children as we watch the world around us failing at it? Recently, my son has been pulling the plug from the video monitor out of the socket in the playroom. After a few dozen pulls, each time requiring several steps to get the camera back online, he finally got in some serious trouble. After daddy left the room, my daughter walked over to hug her baby brother and console him. I think daddy was impressed with her big sister skills in that moment. She’d been in trouble a few too many times, so she understood how it felt to be in his shoes in that moment. And, she knew what she would want to feel and gave it to him, unprompted. My heart melted knowing she was developing empathy, especially for her little brother! It’s a start, right?! If you like these posts, be sure to subscribe for emails and receive your FREE childhood lessons report located in a subscriber-only resource library! Modeling the behavior you want from your children is the most obvious start. Did you hurt your child’s feelings by something you said? Try to see the situation from his perspective. Swallow your pride and apologize for anything harsh that may have indicated you didn’t care. Don’t forget to reiterate what he told you, so he knows you were listening and responding to his feelings. Express that you can see things from his point of view so that you’re able to show him true empathy. If someone upsets you, take a moment to think before reacting. Think about what may have caused this person to act towards you in a manner in which was upsetting. As you consider the situation, it’s okay to verbalize, with your child, the thought process behind being intentionally empathetic. Allowing your child to see empathy in action will teach them the process and translate it for use in their own thinking. 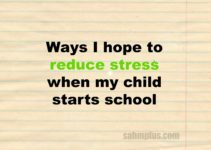 Have discussions with your child about other’s struggles. Show your concern and ask your child what ways they may be able to care for or assist individuals in their particular situations. Try to curb statements for feelings that relay judgment towards those in need. It doesn’t matter if the needs are financial, physical, emotional, or otherwise, empathy won’t be sincere if we start out in a place of judgment. It’s also important to discuss with your child that some factors behind a person’s troubles are beyond their control. This way, your child can see their privileges for what they are. And, eventually, they’ll understand that they need to show compassion towards everyone, regardless of the situation, because we may not always know or understand how they got there. My favorite discussion with my daughter began when she became overly materialistic. Remember how I mentioned that she’d had no tact when it came to wanting more Christmas presents last year? Well, that was an opportunity for us to explain how there are other children who didn’t get any presents. We began donating to a local women’s center to help women and children in need. I took the opportunity to have her go with him and discuss why we were donating some of our belongings to the center. We’ve even discussed touring a children’s home because I feel she would benefit from seeing children who have nothing but that which people donate. Volunteering is a great way to put empathy into action! Practice empathy by volunteering as a family. You can serve meals together at a shelter, donate toys and goods to a children’s home, or put care packages for the less fortunate. Befriend those you serve in your volunteer work. This will help your child understand that those in need are more than just charity work. And they may learn just how much they have in common, despite their situations. Our children will one day run our world. Teaching these great childhood lessons, like empathy and compassion will help make a better future for everyone. The Education Development Center shares empathy activities for kids in their discussion about preventing bullying. Check out their empathy activities here. How else can we try teaching empathy to kids? I love the idea of modeling Empathy. Great Tips! 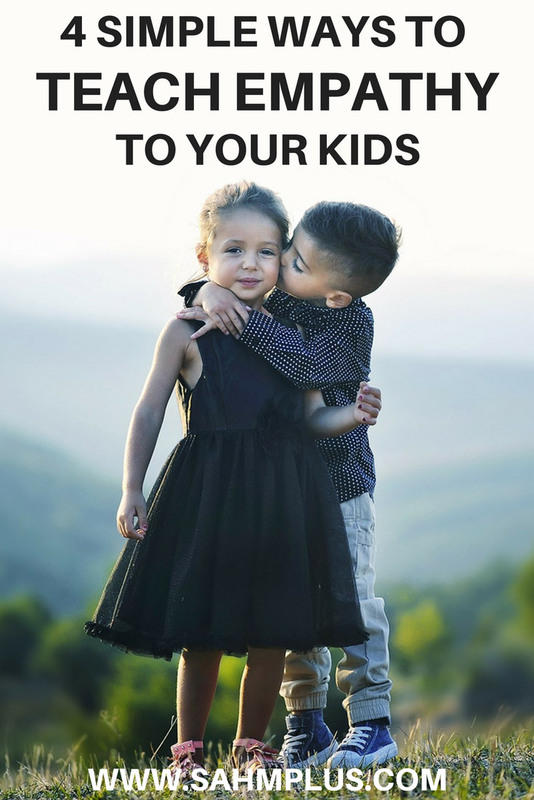 This is something I am working hard to teach my children but I don’t often afford them the same courtesy when I’m feeling frustrated with them. We need a lot more unity in this world, I totally agree with that! It does need to start at home. The only place that we can make an absolute difference!